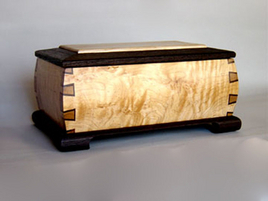 The box is made of maple and wenge and features a double dovetail joint. 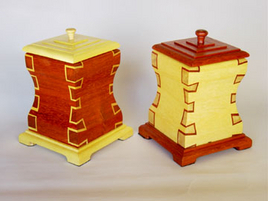 These boxes feature a double dovetail joint. The clock face is book matched creating the owl face. 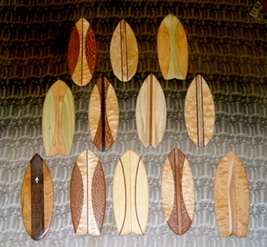 This board is called a fish design and was built for display only. It weighs around 100 lbs. These little replicas were used in surf contest here in Santa Cruz.